This year, I decided to cook Thanksgiving a whole month ahead of time. 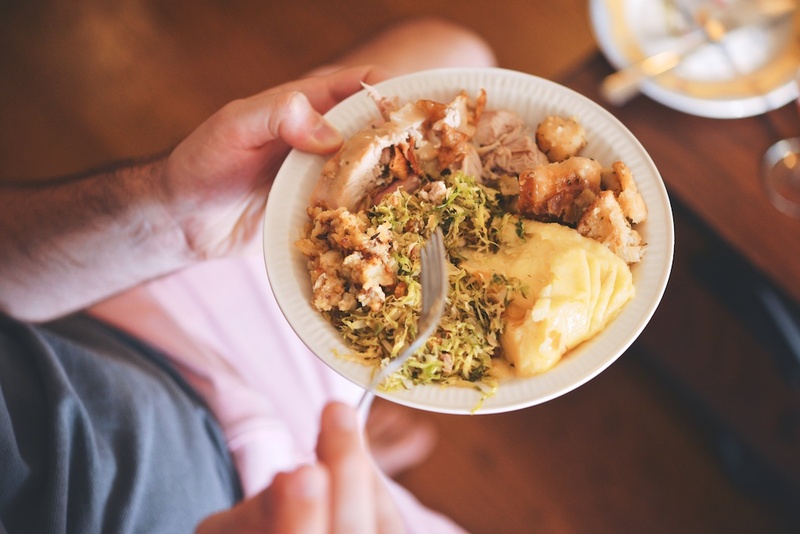 My goal was to write one, thorough and thoughtful blog post in order to help alleviate some of the stress of planning and executing this big meal, even for the most unseasoned Thanksgiving cook. However, as those of you who regularly read this blog will well know, I have a hard time, um, limiting the scope of my kitchen projects. So here we are. 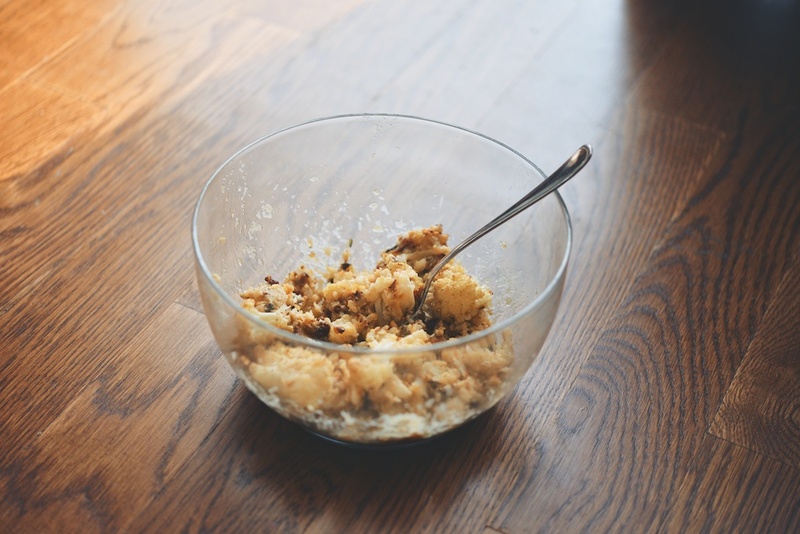 I wrote not one, but three, Thanksgiving blog posts, and none of them are dainty. Welcome to the first. In My Menu + Game Plan, you will find all the recipes for what I cooked on the (fake) big day, plus extra links and photos. At the bottom of this page, find my full game plan, which you can use as a guide for your own planning process. I love the menu I created–I hope you will give some of it a go. Next week, tune in for “Curated + Delicious”, where I provide a ton of recipes I’ve been surreptitiously collecting for months. And on Thanksgiving Day, check back in for “Inventive Leftovers”. My hope is that these three posts will help make your holiday a little less stressful, but considerably more tasty. 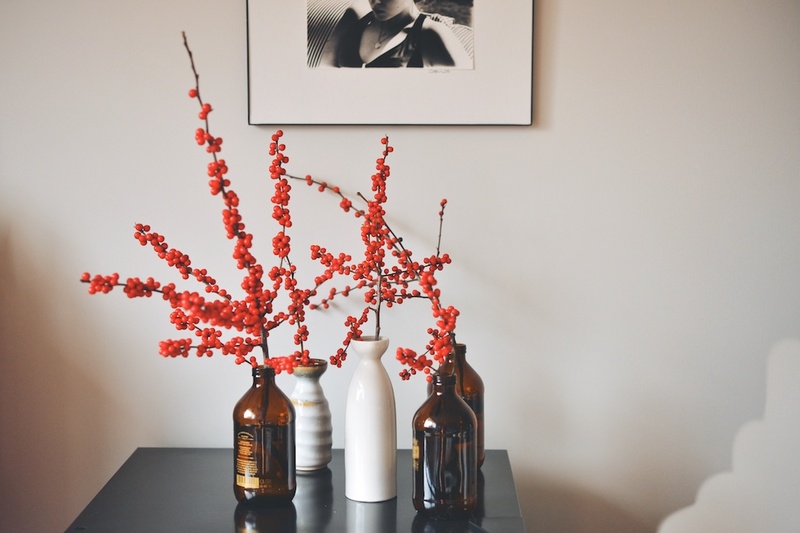 Finally, if this is your first time hosting Thanksgiving (or even if it isn’t), don’t forget to delegate. This might mean asking guests to bring drinks or desserts, making a playlist, or even just setting the table. There is no reason to tackle every single aspect of the meal by yourself–trust me. So pour yourself a tall glass of wine, and let’s get started. I used a combination of Bon Appétit and Saveur’s methods for make-ahead turkey stock. This extra step rewards in spades–great stock is the building block of everything lovely and delicious on your Thanksgiving table, and this is truly great stock. Plus, this lazy afternoon activity can be completed up to 3 months before Thanksgiving and frozen. Any leftover stock can be turned into leftover-soup. This formula yields about 7 cups of turkey stock, which was enough for the turkey, stuffing, and gravy recipes below. 1. Heat the oven to 450F. Pat dry 5-6 pounds turkey parts–wings, drumsticks, backs, legs, necks–ideally a mix. (I was very happy with the wing/back/drumstick combination I used.) If the turkey pieces are longer than 4-inches, cut them into parts: more marrow exposure will give you a more robust broth. 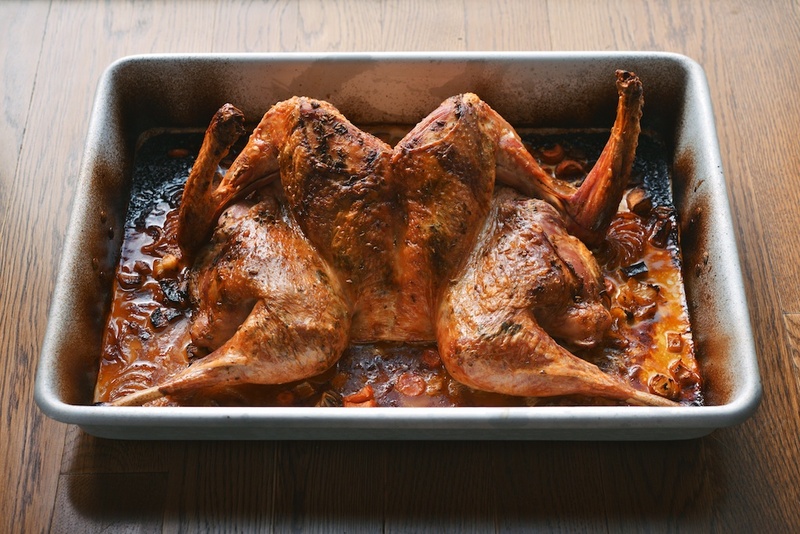 Arrange the turkey parts into a single layer in a roasting pan, and move the roasting pan into the oven. Roast the turkey parts for 30 minutes, flip the pieces, and roast for another 30 minutes. I have the most sensitive fire alarm ever constructed, but: especially in the last 30 minutes, the turkey might get a little smokey. Turn on the vent or open a window. When all the turkey parts are nice and browned, move them into a large pot. 2. Place the empty roasting pan on the range (you can use two burners), add 2 cups of water and turn the heat to high. (If there is a lot of fat in the pan, pour most of it off before you add the water.) Use a wooden spoon to scrape up and dissolve all the lovely browned bits stuck to the bottom of the roasting pan. When you have scraped up as much as you can, pour the water into the turkey pot. Continue adding water to the pot, until the turkey pieces are just covered; about 10-12 cups more. Raise the heat to high, to bring the liquid to a boil, and then immediately lower the heat to a simmer. For about 5 minutes, skim off any foam that rises to the top. 3. After 5 minutes, add 1 quartered onion, 1 roughly chopped carrot, 1 halved celery stalk, 2 sprigs thyme, 10 whole peppercorns, 1 bay leaf, and 1/2 teaspoon kosher salt to the pot. Let the stock simmer away for about 3 hours, skimming occasionally as you go, until it tastes lovely and rich. Using a sieve, strain the stock, pressing gently on the solids to extract the flavorful liquid. Allow the stock to cool, and then pour it into airtight containers–I divide mine between quart containers. The stock can hang out this way in the refrigerator for 3 days, or in the freezer for a few months. I am all about punches at parties–once knocked together (usually in advance), guests can serve themselves, and that is one less thing I have to worry about. For my Thanksgiving feast this year, I whipped together The New England Express. This batch was just enough for my 8 guests, with some people pouring themselves more than one glass before we got started on wine. 1. A day ahead, make the thyme syrup: In a small pot, bring ⅓ cup sugar and ⅓ cup water to a boil, stirring to dissolve the sugar. After a few minutes, when the syrup has thickened, remove the pot from the heat. Add 8 thyme sprigs and cover the pot with a lid (aluminum foil also works). Leave the syrup alone for 10-15 minutes, and then strain it into a heatproof bowl or container. Move the syrup to the refrigerator. 2. 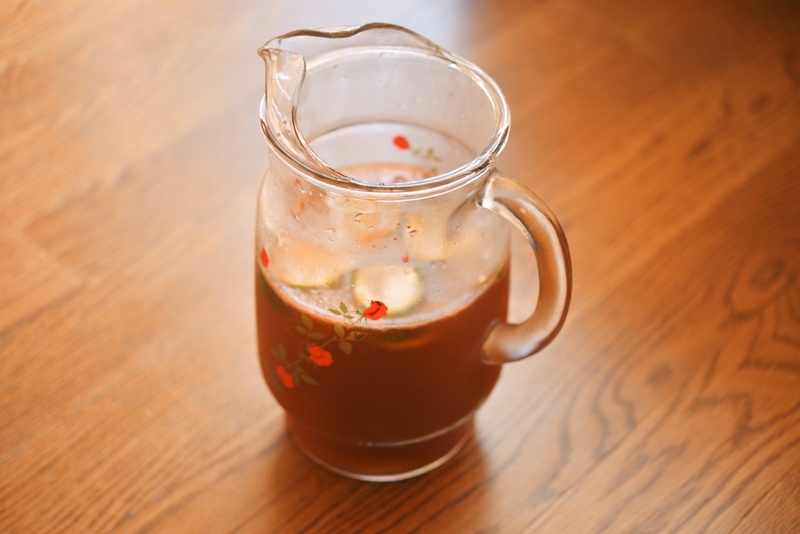 In the morning, mix the thyme syrup, 2 cups apple cider, 1½ cups dark rum, ¾ cup fresh lime juice, and 1 teaspoon Angostura bitters together in a large pitcher. Chill for 4-5 hours. When the guests begin to arrive, delegate someone to divide the punch among ice-filled glasses; top off each with club soda and thin lime slices. The purpose of hors d’oeuvre hour is this: to give yourself a grace period in which to finish preparing the meal, all the while whetting the appetites of your guests. Don’t complicate! I typically use a combination of make-ahead and fancy store-bought items to give my guests just enough to nibble on. Remember, the point is not to fill anyone up before the big meal. 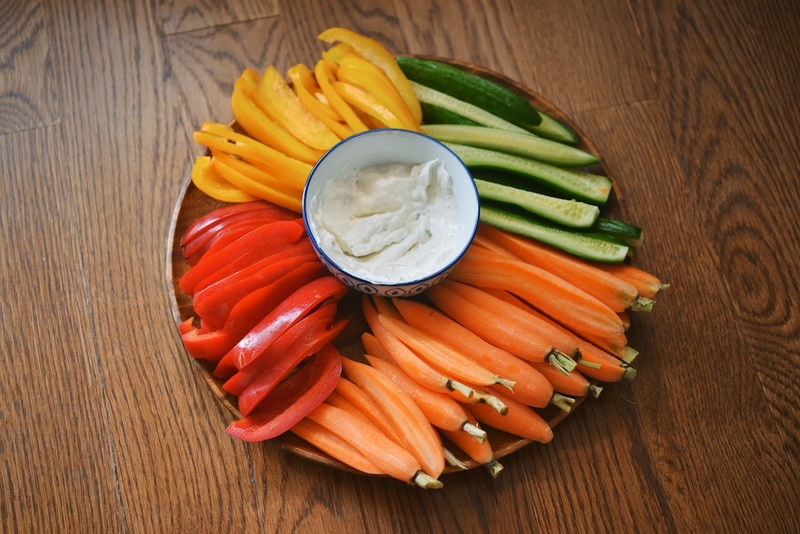 This year, I made Buttermilk Ranch Dressing (makes 1 cup) to serve alongside a pile of vegetables, although you can also employ store-bought tzatziki here. Creamy Sausage Stuffed Mushrooms rounded out the table; the recipe below yields about 30-35 mushrooms. Buttermilk Ranch Dressing: In a jar or a container with a tight fitting lid, combine 1 tablespoon minced shallots, 1 tablespoon chopped basil, 1 tablespoon chopped chives, 1/2 tablespoon chopped parsley, 1 tiny clove of garlic (minced), 1 teaspoon lemon juice, 1/4 cup mayonnaise, and 1 tablespoon plain yogurt or sour cream. Fasten the lid, and shake the jar to combine. Stir in (just shy of) 1/2 cup (well-shaken) buttermilk; check for consistency, and add more if needed. Taste the dressing, then season with kosher salt, freshly cracked black pepper, and 1/8 teaspoon paprika. If the dressing is too sharp, drizzle in a smidge of honey. Taste again, and adjust the seasonings as needed. Secure the lid, and refrigerate for at least 1 hour, but up to 2 days ahead. Serve alongside a pile of your favorite dipping vegetables. 1. Heat the oven to 350F. Wash 2.5 pints cremini mushrooms, and dry them well. Pull out the stems, you won’t need them (although I roast them and eat with a fried egg on toast for breakfast.) Toss the cleaned, de-stemmed mushrooms with 2.5 tablespoons olive oil, 1.5 tablespoons balsamic vinegar, a big pinch of kosher salt, and few cracks of black pepper. Spread the mushrooms on a sheet pan, and bake them for 30 minutes. Out of the oven, allow the mushrooms to cool. 2. Meanwhile, slice open 2 Italian sausages and remove the casing. Over medium heat, cook the sausage, crumbling it well with a spoon as you go, until it is no longer pink. Set the sausage aside to cool. In the same pan, add 1 tablespoon olive oil and sauté 1 thinly sliced onion until caramelized, about 15-20 minutes. Add 2-3 cloves minced garlic to the pan and sauté 1 more minute. 3. To a large mixing bowl, add the cooked sausage, the onion and garlic, 3 ounces grated Asiago cheese, 4 ounces (room temperature) cream cheese, and kosher salt and black pepper to taste; stir to combine all the ingredients. 4. Arrange the cooled mushrooms in a baking dish, core side up. Stuff each mushroom with a generous portion of the creamy sausage mixture. Top the mushrooms with another 1/4 cup grated Asiago cheese. (At this point, I covered the baking dish with plastic, and moved it to the refrigerator overnight.) Heat the oven to 375F. Bake the mushrooms for 45 minutes-1 hour, or until the cheese is melty and the mushrooms are shrunken and browned. Since I already love the spatchcock-braise-roast method for cooking chicken, I adapted this genius recipe for Spatchcocked turkey, throwing in advice and knowledge from Serious Eats, plus adding my own twists and spins. This is, by far and away, the best turkey I’ve ever made–the meat is succulent and juicy, the skin is shatter-crisp, and best of all, the bird cooks in about half the time. 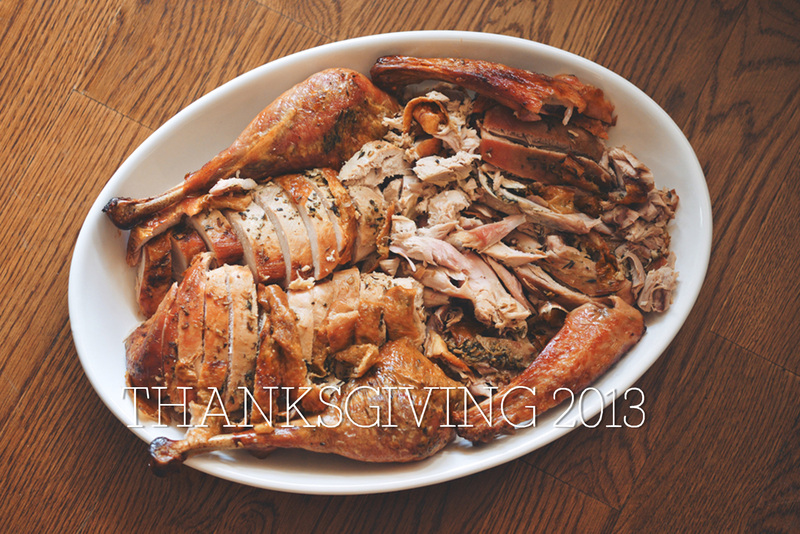 I cooked my 13-pound turkey in a 14″ x 20″ x 3″ roasting pan, which fit snuggly into my home oven. It was more than enough for 8 people, with plenty of turkey remaining for leftovers. I cooked my bird for 2 hours 15 minutes. This recipe assumes that you have a fresh turkey. If you are using a frozen turkey, keep in mind that a turkey defrosts at a rate of 4-pounds per day in the refrigerator. Plan ahead! 1. 24-hours before you plan to cook the turkey, spatchcock the bird. 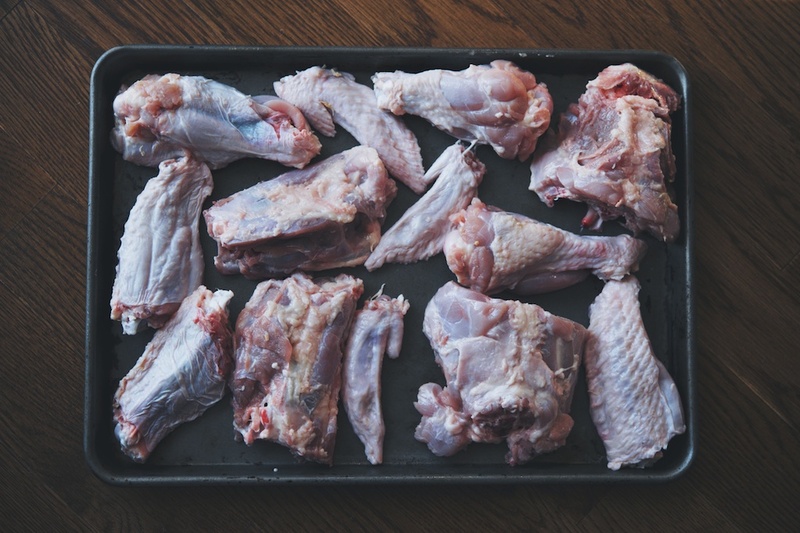 (Reserve the neck and the wingtips–you’ll use them to make the gravy.) If you can get the farmer/turkey seller/butcher to do this step for you, even better. Otherwise, you’ll need a strong arm, but I made it happen with a pair of poultry shears and a serrated bread knife. Rinse the turkey well and pat it very dry. Salt the turkey all over with 2 tablespoons kosher salt. 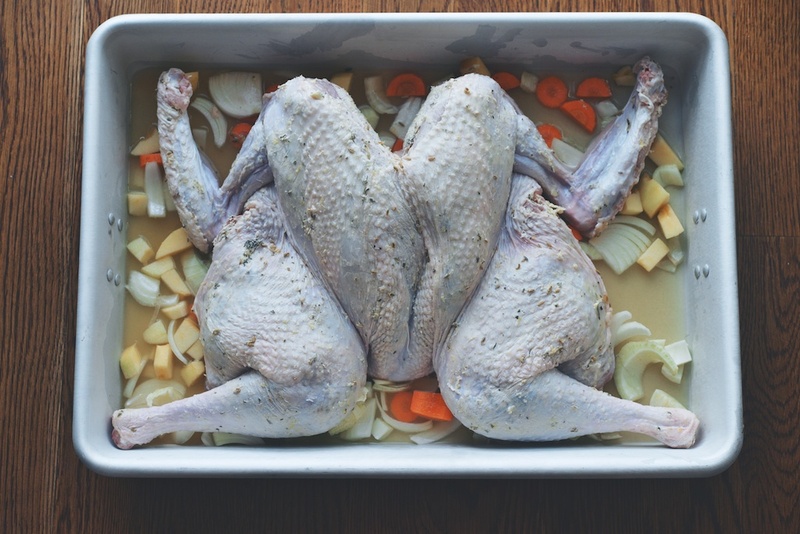 Lay the bird flat (breast side up) on a baking sheet. Tent it just lightly with plastic wrap, and move it to the bottom shelf of the refrigerator. 3. 1-hour before you plan to cook the turkey, remove it from the refrigerator. 30-minutes before you plan to cook the turkey, turn on the oven to 425F. Dice 1 onion, 1 green apple, 1 fennel bulb, and 1 carrot. Scatter the vegetables inside the bottom of the roasting pan you’ll be using. Meanwhile, bring 1 cup of apple cider, 1 cup of turkey stock, and 1 cup water to a simmer, and then add that to the roasting pan, too. Move the turkey (breast side up) into the roasting pan, on top of the vegetables/cider-stock. Move the turkey into the oven; roast. As a general rule, cook the turkey for 10 minutes per pound, although I roasted my bird for 2 hours and 15 minutes. Cook until the internal temperature of the leg reaches 165F, and then let the bird rest, uncovered, for about 1 hour. If the skin looks like it is getting too dark in the oven in cooking, just patch the offending parts with a bit of tin foil. I borrowed heavily from this Lager Gravy recipe. Makes about 2 cups of gravy. 1. In a wide saucepan, heat 1 tablespoon vegetable oil over medium heat. Remember that reserved turkey neck/wingtips? When the oil is hot, sear them in the pan, flipping once or twice in cooking. Cook the parts for 7-10 minutes, or until the meat is golden, and there are lovely browned spots all over the pan. Remove the parts to a plate. 2. Lower the heat to low. Add 1/3 cup flour to the pan, and whisk it into the fat. Slowly, whisk in 1/2 cup warmed apple cider, and then 1 cup hard apple cider, until you have a smooth liquid. Add 3 cups turkey stock and raise the heat to high; bring the liquid to a boil. Turn the heat back to low, and add the reserved turkey parts and 1 bay leaf. Cook the gravy for 1.5 hours. Adjust the seasoning at the end, as needed. Sides: Arguably the best part of the meal, don’t you think? I still can’t get past my childhood affection for canned cranberry sauce. An amalgamation of Mashed Potatoes with Goat Cheese and Caramelized Onions and Joël Robuchon’s famous Potato Purée. Serves 8-12. 1. Make the caramelized onions: Heat 2 tablespoons unsalted butter with 1 tablespoon olive oil in a large sauté pan over medium heat. Add 2 large onions (thinly sliced) and stir to coat then in the fat. Add 1/4 teaspoon kosher salt and 1/4 teaspoon sugar and cook, stirring frequently, until the onions are golden brown and caramelized, about 30-40 minutes. If the onions start to burn, add a small amount of water to deglaze the pan. The onions can be prepared up to 3 days ahead–move the onions into an airtight container, and place in the refrigerator. 2. 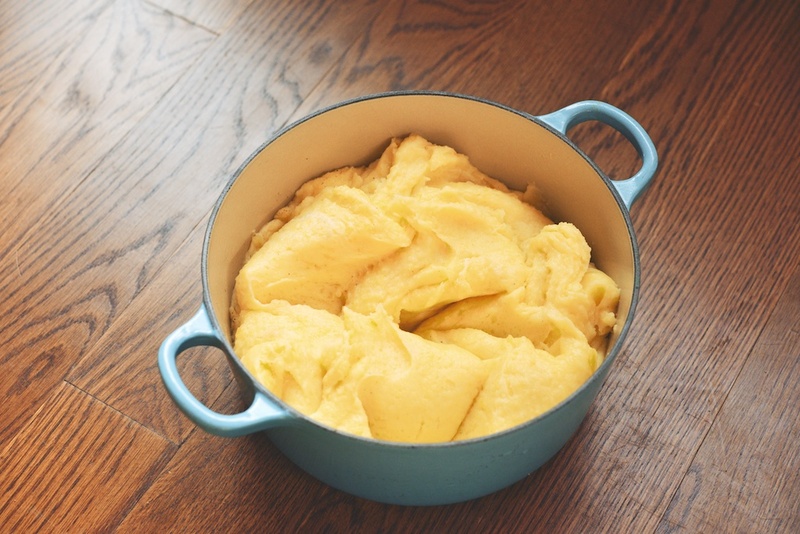 Place 2-pounds unpeeled Yukon Gold potatoes in a large pot of cold, salted water. Bring the potatoes to a boil and cook until fork tender, about 50 minutes. Drain the potatoes, and set them aside until they are cool enough to handle, about another 30 minutes. Peel the potatoes, and pass them through a ricer or food mill, back into the hot, dry pot you boiled them in. Stir over low heat using a rubber spatula for 2 minutes until they are dry. Meanwhile, bring 1/4 cup whole milk to a simmer. 3. Working in batches, vigorously stir 3/4-pound unsalted butter (cubed and chilled) into the potatoes, until the mixture is creamy. Whisk in the warmed milk, and season the potatoes with kosher salt and black pepper, to taste. Crumble 3-6 ounces fresh goat cheese into the potatoes, and stir to combine well. The potatoes can be made 1-2 hours ahead; cover the pot well with plastic wrap to keep them warm. Just before serving, reheat, adding a little more milk if needed. Warm the onions, and top the potatoes with them. The aromatics from my mother’s stuffing recipe + Sourdough Stuffing with Sausage, Apples, and Golden Raisins + an Italian dried herb mix–fennel seeds, dried oregano, dried sage, and dried parsley. Also, butter! Serves 10-12. 2. Melt 1 stick unsalted butter in a large sauté pan over medium heat, until the butter is melted and foamy. Add 1 large diced onion to the pan, and cook for 5 minutes. Add 3 diced celery stalks, and cook over medium heat, until tender. Transfer the onions and celery to a large bowl. Melt another ½ stick unsalted butter in the same pan, and add 2 peeled, cored, and diced green apples. Cook over high heat until the apples are lightly colored, but not over-cooked or mushy. 3. To a large bowl, add: the bread cubes, the onion, the celery, the apples, 1 teaspoon crushed fennel seeds, 1 teaspoon dried oregano, 1 teaspoon dried sage, 1 teaspoon dried parsley, 1.5 teaspoons kosher salt, and a few cracks of black pepper. Toss everything together. Stir in 2½-3 cups (unsalted) turkey stock, or enough so that the bread cubes are moistened, but not soggy. Pour the stuffing into a generously buttered casserole dish. (At this point, I cover the dish with plastic, and move it into the refrigerator overnight.) 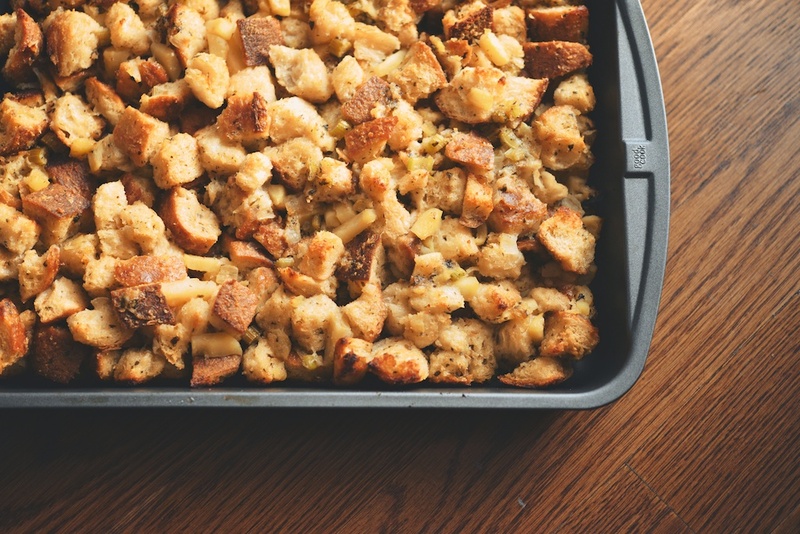 Bake the stuffing in a 375F oven, uncovered, until top is golden and crisp in spots, 45 minutes-1 hour. 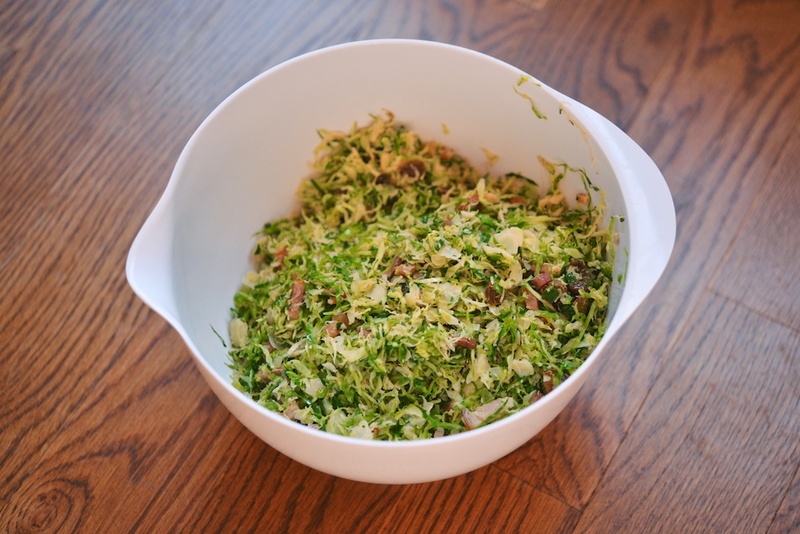 Sautéed Brussels Sprouts with Pancetta and Golden Sultanas. Serves 8-10. Using a mandoline, shred 2-pounds Brussels sprouts, discarding the woody stems. Heat 1½ teaspoons butter and 1 teaspoon olive oil in a large skillet over medium heat until the butter is melted and foamy. Add 8-ounces chunk pancetta (cut into ⅛-inch cubes) and cook, stirring frequently, until the pancetta begins to brown and the fat renders, 8-10 minutes. Add 2 cloves minced garlic and 1 minced shallot to the pan, and continue to cook, stirring, 2-3 minutes more. Raise the heat slightly to medium-high and add the Brussels sprouts. Quickly sauté the Brussels, coating them well, until crisp-tender. Stir in ⅓ cup golden raisins and 2 tablespoons finely chopped parsley; season with kosher salt and freshly cracked black pepper, to taste. Heat the oven to 425F. Cut 1 head cauliflower into florets. Toss the florets with 1 sliced medium onion, 4 thyme sprigs, 4 unpeeled garlic cloves, and 3 tablespoons olive oil; season with kosher salt and freshly ground black pepper. Spread everything onto a baking sheet and roast, tossing occasionally, until the cauliflower is blackened in spots, 30-35 minutes. Finish by tossing everything with 1/2 cup finely grated Parmesan. Serve warm. Dessert is another part of the meal that can (and frankly, for your sanity, should) be made ahead. In fact, I think pies and (some) cakes taste better, given a day to settle into themselves. This year, I fully intended to make all three of these glorious pies. But, life intervened. I ended up with too much stress and too little time. Pride prevented me from asking for help, and this was very silly on my part–I won’t repeat that mistake. Ultimately, I bought my pies, but I still want to share the following recipes with you. The leftovers got sent home with guests in cheap pastry boxes. Brûléed Bourbon-Maple Pumpkin Pie: I know this seems like an awful lot of work, but it makes an impressive presentation piece. Plus, a torch! It can also be made in steps, and all but the very last one can be made a full day ahead. 1. Make the chocolate pie dough: Pulse ¼ cup + 1 tablespoon Dutch-process unsweetened cocoa powder, 3½ tablespoons sugar, 1 teaspoon kosher salt, and 1¼ cups + 1 tablespoon flour in a food processor, to combine. Add 6 tablespoons (chilled, cut into pieces) unsalted butter and 2 tablespoons vegetable shortening or leaf lard; pulse until the mixture resembles coarse meal, with a few pea-size pieces of butter remaining. Transfer to a large bowl. 2. 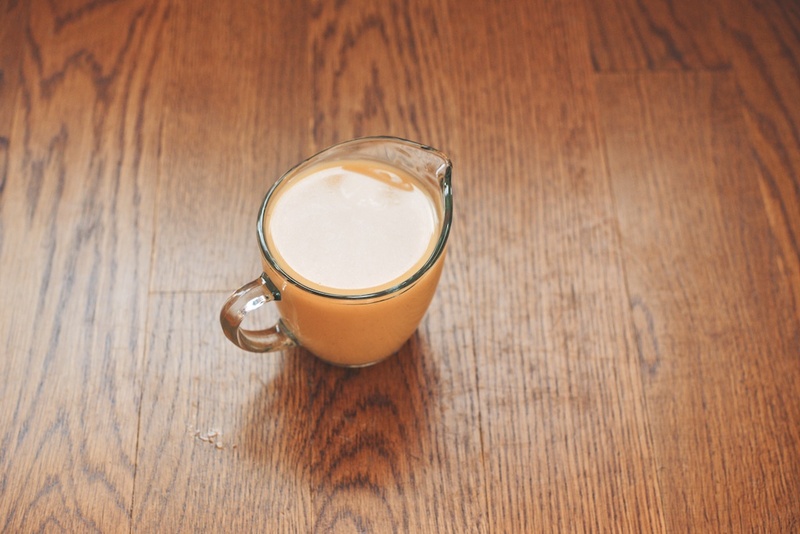 Whisk 1 large egg yolk, ½ teaspoon apple cider vinegar, and ¼ cup ice water in a small bowl. Drizzle half of the egg mixture over the flour mixture and, using a fork, mix gently just until combined. Add the remaining egg mixture and mix until the dough just comes together (you will have some unincorporated pieces). 4. Make the pie: On a lightly floured surface, roll out the disk of dough, and then transfer it into a 9-inch pie dish. Trim, leaving about an 1-inch overhang. Fold the overhang under and crimp the edge. Chill in the freezer for 15 minutes. 6. Whisk together 1 15-ounce can pure pumpkin purée, ¼ cup sour cream, 2 tablespoons bourbon, 1 teaspoon ground cinnamon, ½ teaspoon kosher salt, ¼ teaspoon ground ginger, ¼ teaspoon ground nutmeg, ⅛ teaspoon ground allspice, ⅛ teaspoon ground mace (optional), and 3 eggs in a large bowl; set the bowl aside. 7. Pour ¾ cup pure maple syrup (preferably grade in a small saucepan; scrape in seeds from 1 vanilla bean (or 1 teaspoon vanilla extract) and bring the syrup to a boil. Reduce the heat to medium-high and simmer, stirring occasionally, until the syrup is thickened and small puffs of steam start to release, about 3 minutes. Remove the syrup from the heat and add 1 cup heavy cream in 3 additions, stirring with a wooden spoon after each addition, until smooth. Gradually whisk the hot maple cream into the pumpkin mixture. 8. Place the pie dish on a rimmed baking sheet, and then pour in the filling. Bake the pie, rotating it halfway through, until is set around the edge, but the center barely jiggles, 50–60 minutes. Transfer the pie dish to a wire rack, and let the pie cool. Just before serving, sprinkle the pie with 2 tablespoons granulated sugar and, using a kitchen torch, brûlée until sugar is melted and dark brown. Caramel-Pecan Hand Pies. Makes 12 hand pies. 2. On a floured work surface, roll out 1 disk of the dough into a 16-inch square, a scant 1/4 inch thick. Using a small pot lid or plate (5.5-6 inches) as a template, cut out as many dough rounds as possible. Repeat with the second disk. Re-roll the scraps, chilling if necessary, for a total of 12 dough rounds. 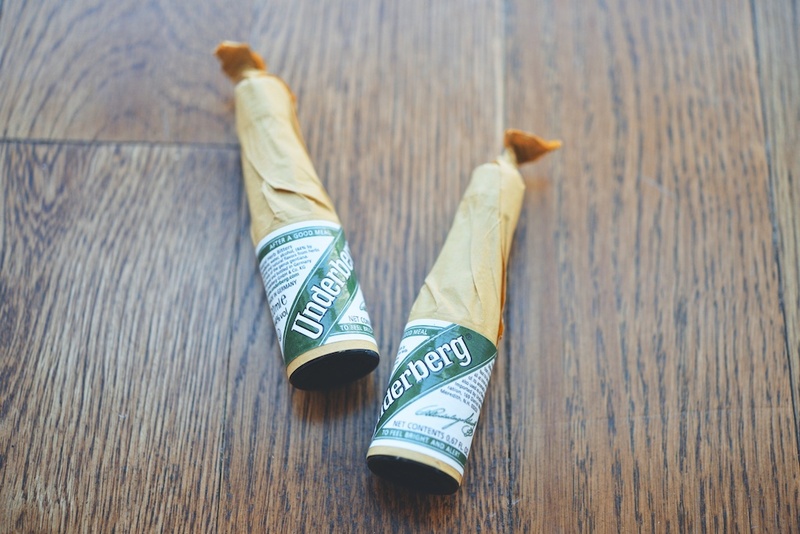 Transfer the pastry rounds onto parchment paper–lined baking sheets and refrigerate until chilled, about 20 minutes. 3. Make the filling: Heat the oven to 375F. Spread 1.5 cups (6 ounces) pecans onto a baking sheet and toast for about 8 minutes, until browned and fragrant. Let the pecans cool, and then coarsely chop the nuts. 4. In a medium saucepan, combine 1 cup sugar with 1/2 cup water. Cook over moderate heat, swirling the pan gently once the caramel begins to form, until the caramel is medium-amber, about 9 minutes. Remove the caramel from the heat and whisk in 6 tablespoons unsalted butter, 1/2 cup heavy cream, 1 teaspoon vanilla extract, and a pinch of kosher salt. Transfer 1 cup of the caramel to a large bowl and let cool slightly. (Save any remaining caramel for later use.) Whisk 1 cup sugar, 1 teaspoon vanilla extract, and 1 cup corn syrup into the caramel in the bowl. Whisk in 4 eggs, until smooth. Add the pecans and a generous pinch of kosher salt. 5. Spray a 9-by-13-inch baking pan with vegetable oil spray. Pour the pecan filling into the pan and bake for about 30 minutes, until set. Let cool slightly, then scrape the pecan filling into a bowl and gently stir to recombine. Refrigerate until chilled, about 1 hour. 6. One at a time, brush the pastry surfaces lightly with 1 beaten egg. Scoop a scant 1/4 cup of the pecan filling onto each round and fold the pastry over to make a turnover. Press the edges to seal and crimp with the tines of a floured fork. Refrigerate the pies while you prepare the rest. 2. Make the pie: Adjust oven rack to lower middle position and place a heavy rimmed baking sheet on it. Heat the oven to 425F. Place 4-4.5 pounds Golden Delicious, Braeburn, or other baking apples (peeled, cored, and sliced into 1/4-inch slices) in a large bowl or pot. Pour 3 quarts boiling water or cider directly over the top. Cover and set the bowl aside for ten minutes. Drain the apples well and let them sit in a colander in the sink, tossing occasionally, until completely dry, about 10 minutes. Transfer the apples to a large bowl and add 10 tablespoons sugar, 1/4 teaspoon cinnamon, 1/4 teaspoon salt, and 2 tablespoons cornstarch; toss until apples are evenly coated. Set the mixture aside. 3. 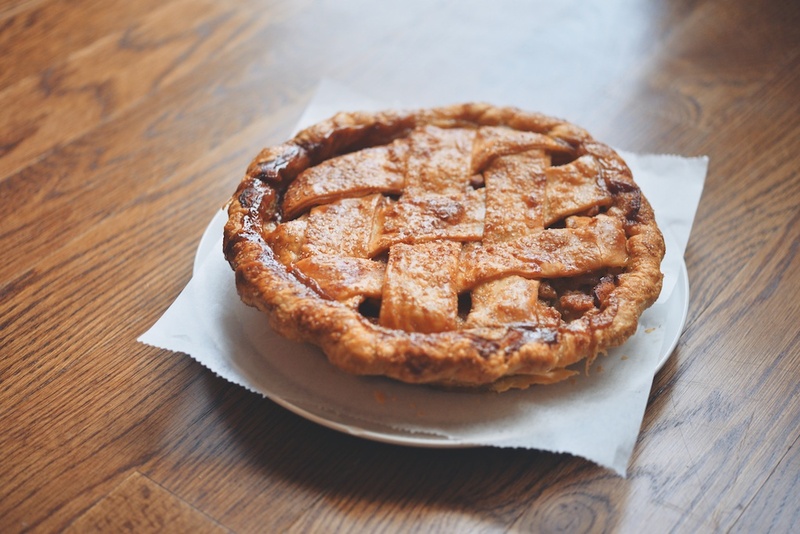 Roll one disk of pie dough into a circle roughly 12-inches in diameter. Transfer to a 9-inch pie plate. Add the filling. Roll the remaining disk of pie dough into a circle, again roughly 12-inches in diameter. Transfer to the top of the pie. 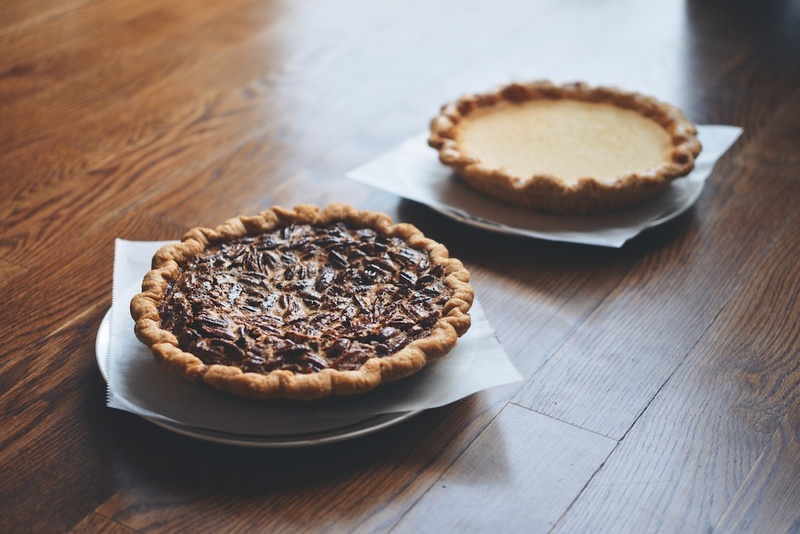 Using a pair of kitchen shears, trim the edges of both pie crusts until they overhang the edge of the pie plate by 1/2 an inch all the way around. 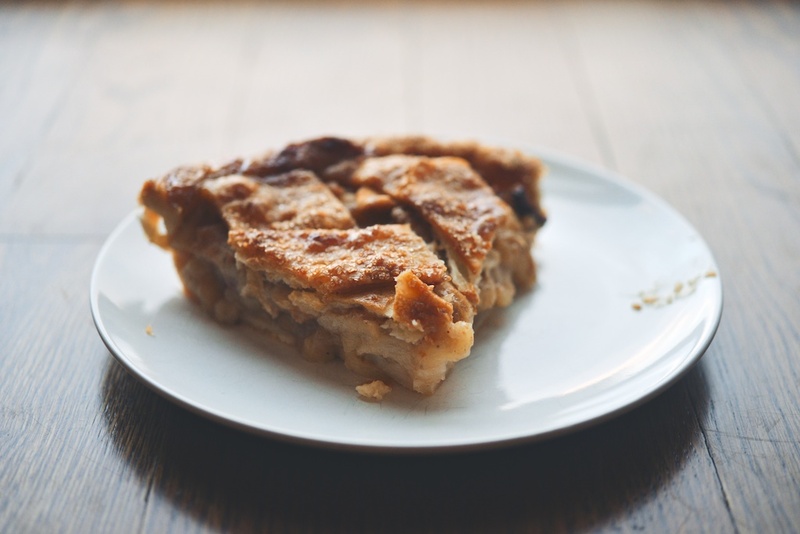 Fold the edges of both pie crusts down together, tucking them in between the bottom crust and the pie plate and working your way all the way around the pie plate until everything is well tucked. Use the forefinger on your left hand and the thumb and forefinger on your right hand to crimp the edges. Cut 5 slits in the top with a sharp knife for ventilation. 4. Use a pastry brush to brush an even coat of 1 lightly beaten egg white all over the top surface of the pie. Sprinkle evenly with 1 tablespoon sugar. Transfer the pie to the sheet tray in the oven and bake until light golden brown, about 20 minutes. Reduce the heat to 375F and continue baking until the pie is deep and golden brown, about 25 minutes longer. Remove the pie from oven and allow it to cool at room temperature for at least 2 hours before serving. I served Pumpkin Seed Brittle alongside coffee, tea, and digestives. 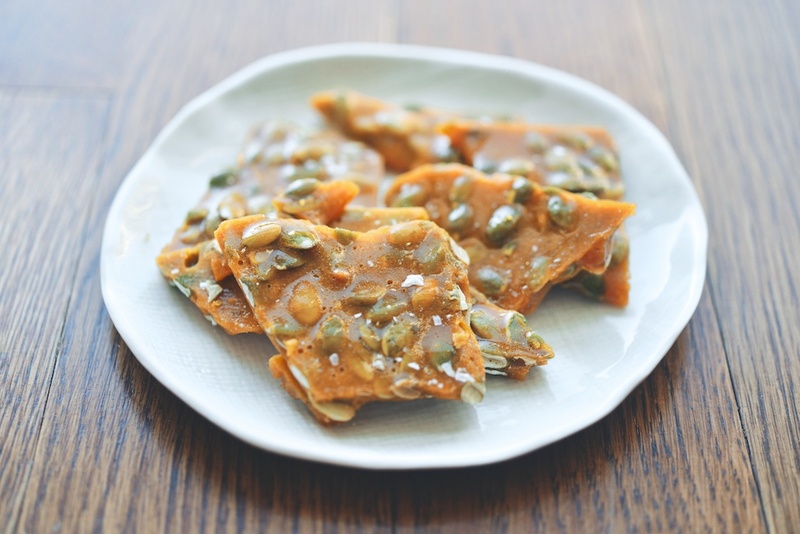 Here is a recipe for Pumpkin Seed Brittle with Vanilla Bean and Cayenne Pepper. It looks delightful. I won’t lie to you though: I spotted some delicious-looking (and even better, already made) pumpkin seed brittle at one of my favorite food shops a few weeks ago, so I bought it. Forgive me. I am only one woman. 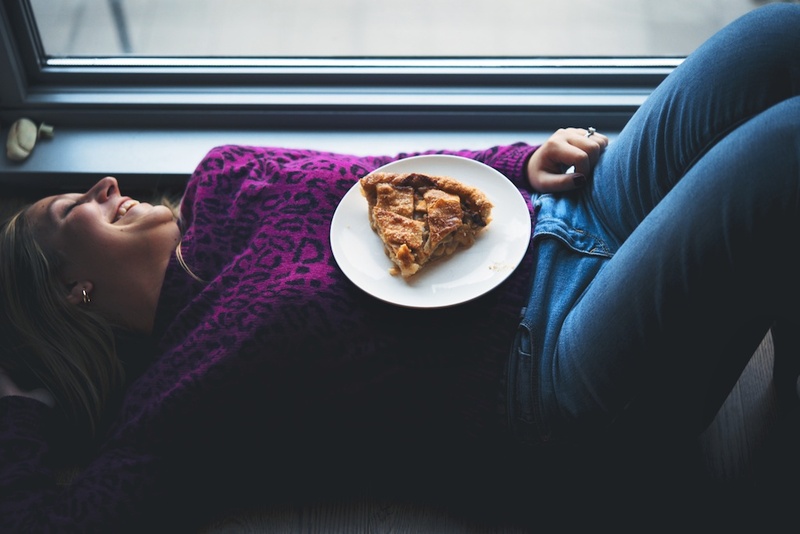 Pulling off Thanksgiving dinner is really about planning and time management–unsexy perhaps, but true. This is my breakdown of tasks. A little bit at a time is my motto. 3-4 weeks ahead: Order the turkey. If you want a fancy-pants heritage breed bird, you need to reserve it ahead of time; I order mind from the farmers market. When considering delivery dates, remember this: frozen turkeys defrost in the refrigerator at a rate of 4 pounds per day–plan ahead! I pick my turkey up fresh, but with dry brining, I want it home about 36 hours before I plan to cook it. 1 week ahead: Pick up 5-6 pounds of turkey wings/necks/legs; again, I buy mine from the farmers market. At home, make the turkey stock. This is a lazy afternoon activity, and will ensure that you have an amazing base for everything from gravy to stuffing on the big day. Freeze the stock in quart-sized containers. You will be totally prepared for whatever stock needs you may face. 5 days ahead: Make a shopping list and check it twice. Also, set aside and label all the cook, dish, and serving ware you’ll be using on Thanksgiving. This step promises a smooth cooking and serving process. 3 days ahead: Buy all the ingredients you can, which should be most of them. Also, clean out your refrigerator to make room. • If your turkey is not already spatchcocked, do so now; reserve the neck and wingtips. Give the turkey a good rinse, and then pat it very dry. Season the turkey all over with 2 tablespoons of kosher salt. Loosely tent the turkey with plastic wrap, and move it to the bottom shelf of the refrigerator. • Make the spice-and-herb dry brine mix, then mix it with the softened butter. Rub the butter all under the skin of the turkey. Move it back to the bottom shelf of the refrigerator, uncovered this time. • Have a glass of wine. Order light take out. 8:30am: Wake up. Have some coffee. 12pm: Peel the potatoes, and send them through the ricer. • Take the turkey out of the oven. Set it aside to rest. • Lower the oven temperature to 375F. • Move the stuffed mushrooms into the oven; bake for 1 hour. • Finish the mashed potatoes; cover with plastic to keep warm. • Ready the stuffing and cauliflower for the oven. 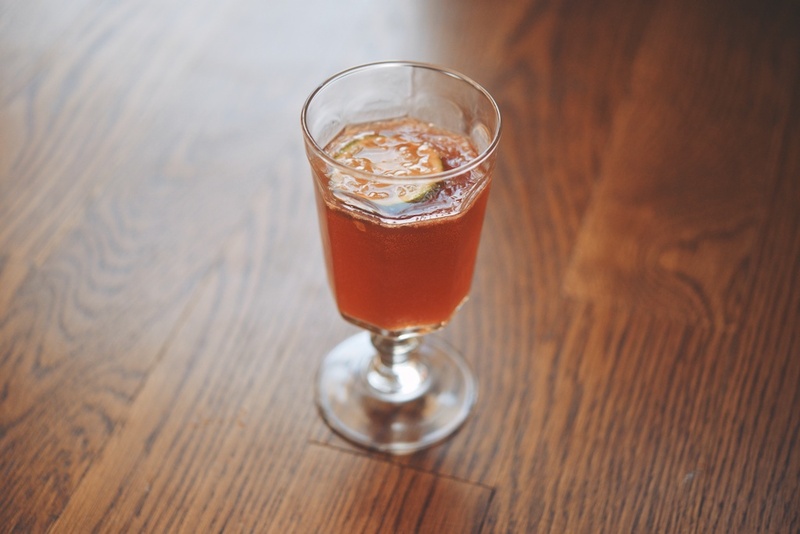 • Guests are starting to arrive: Finish off and serve the punch. • Move the crudités + dressing onto serving ware; set out. • Plate the mushrooms; set out. Oh my goodness. I’m a lowly twenty-something grad student who will be retreating home to my Mama for Thanksgivukkah, but this is downright inspiring. I’m dreaming of recreating this menu one day for my own guests…maybe for my first Thanksgiving meal, whenever I get to make it down the line (with a few shortcuts to be a little less ambitious!). The day-by-day breakdown is just amazing! Thanks for the Thanksgiving cheer! Thanks for your comment, Megan! I hope you have a very happy Thanksgivukkah. What!? No call out for you sous-chef! Extra burpees with pushups next week. ty so much, this is the 3rd thanksgiving im using this as my plan. i cant duplicate everything, but the inspiration is there. as a guy, it really helps as a guide. That makes me so happy, Charles! Happy Thanksgiving! How many people was this for? This serves 12-14. Depends how much you’d like leftover!